Even though I am no longer doing the sugar detox, I still try to be mindful of adding sugar to desserts and just sugars in general! 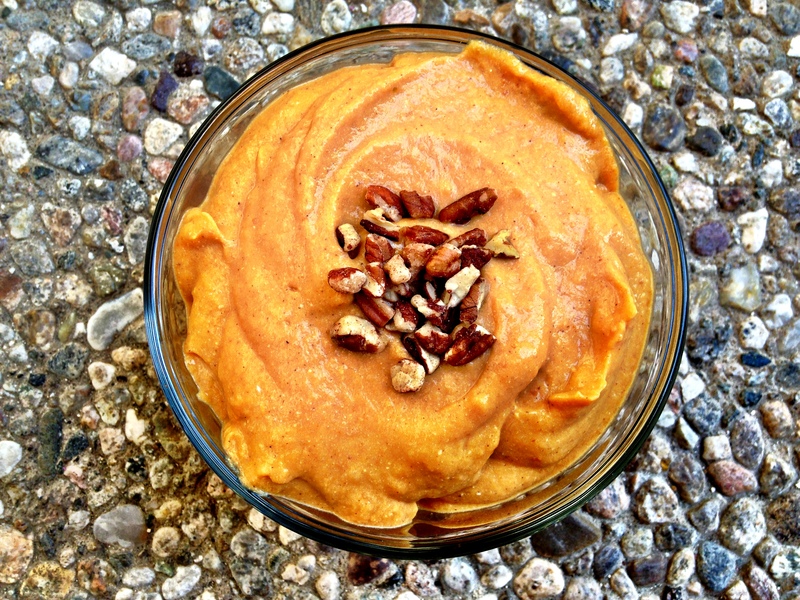 I was craving something sweet and I absolutely love all things pumpkin!!! This recipes is dairy free and vegan with only naturally occurring sugar! I call that a win! Now there is a secret ingredient that makes this pudding so rich and creamy…. Want to know what it is? Yes tofu makes this pudding creamy without any cream! NOTE: Eat just with a spoon, spread on apples, on toast etc! 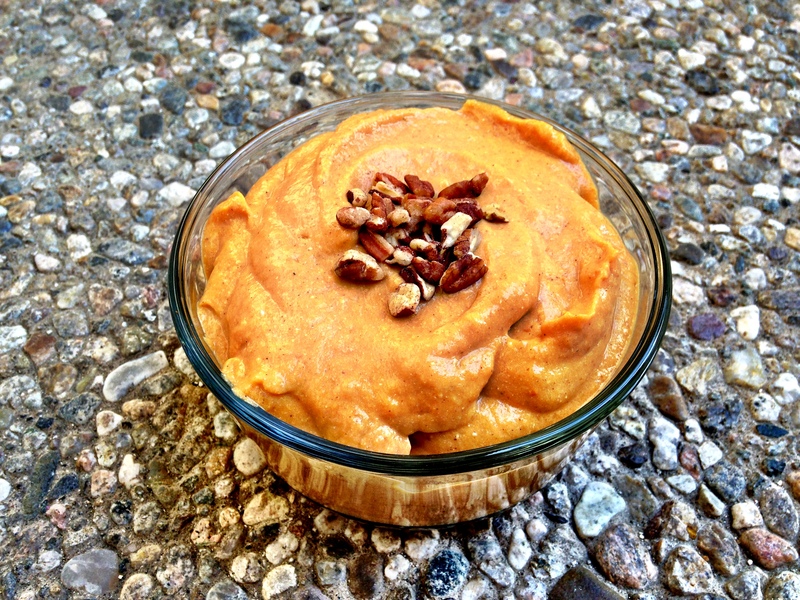 0 Responses to "No Sugar Added Vegan Pumpkin Pie Pudding"
Love the simplicity of this. I am sure Sarah will be all over this. Yes! Her and I are both pumkin lovers. I am also a lover of all things chocolate, peanut butter, and coconut! what could i substitue the tofu with? due to my diet i can’t have that but i love pumpkin! Try substituting low fat cottage cheese! Let me know how it goes!